The European Supervision Order for transfer of defendants: why hasn’t it worked? Foreign national prisoners often suffer disproportionately in the criminal justice system. They may have to negotiate prison life whilst contending with a different culture, language and without the regular family contact or visitors other prisoners may enjoy. As the number of foreign nationals in prison is considerable in many countries, the issue of the transfer of convicted prisoners has been high on the agenda in recent years. Conversely, little recognition has been given to the possibility of transfer of non-custodial alternatives imposed on nationals of other countries either pre-trial or following conviction. However, the European Union made a first attempt to address the issue, with the European Supervision Order (ESO) in 2009, which was intended to enable defendants charged with an offence abroad to await their court hearing in their home country supervised by local authorities. The implementation of the ESO has, however, been challenging. 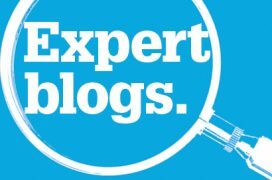 In this blog, Bruno Min, Legal and Policy Officer at Fair Trials, explores the history of the ESO and asks what would need to happen for a supervision transfer system to work. Recent statistics indicate that there are over 120,000 prisoners on remand in the European Union, representing approximately 20% of the EU’s total prison population (1). Foreign nationals are considerably overrepresented in this group and in 2013, about one in four foreign national prisoners in the EU were being held on remand (2). The over-representation of foreign nationals in pre-trial detention is hardly surprising. Foreign nationals are vulnerable to discrimination in this regard, given that they are normally perceived to be a greater flight risk than locals, and courts usually have a difficult time finding alternatives to detention for defendants who are perceived as having no ties to the local community. The European Commission (3) identified this to be a problem, particularly for EU citizens arrested and detained in a Member State where they are not normally resident. Discriminatory treatment against non-resident EU citizens in criminal proceedings is fundamentally incompatible with the objective of the EU to facilitate a common European area of justice, and it undermines the right of free movement of people within the EU. This issue is particularly evident in cases of defendants like Andrew Symeou and Robert Hörchner who were extradited under the European Arrest Warrant (‘EAW’) (6) from one EU Member State to another, only to find themselves detained for months, if not years, before their trials could take place. These cases of injustice helped to expose the varying levels of human rights protections across the EU, and questioned the extent to which Member States could trust each other’s legal systems. The cause of this problem, as recognised by the Commission, was that supervision measures applied as alternatives to pre-trial detention (such as curfews and reporting conditions) could not be transferred between Member States. In an attempt to safeguard the right to liberty and the presumption of innocence, the Commission’s solution came in the form of the ‘European Supervision Order’ (‘ESO’) (7), which establishes a system in which judicial authorities of EU Member States are required to recognise and enforce decisions on supervision measures made by another Member State. Like the EAW, the ESO is an example of a ‘mutual recognition’ instrument. It is based on the idea that forms a fundamental cornerstone in the EU’s criminal justice policy: that Member States should trust and have faith in each other’s legal systems. In the case of the ESO, there is a presupposition that courts of one country are willing to trust another country to supervise the defendant under its jurisdiction. This requires a high level of trust and confidence in the legal system of another Member State, given that understandably, courts are reluctant to relinquish control over a criminal defendant in the midst of legal proceedings. The primary beneficiary of the ESO is an EU-national defendant who finds himself detained in a Member State other than his country of residence, and who would have been released had he been locally resident. By issuing an ESO, the court subjects him to alternative measures to be enforced by local authorities of his country of residence, thereby overcoming its perception that he is a flight risk, and allowing him to go back home under supervision. If he were to violate the conditions of his release, it could use the EAW to re-arrest him and bring him back to court. Although the ESO was intended to provide an effective and workable alternative to pre-trial detention, the response from the Member States to the ESO was at best lukewarm. Despite being required to implement the ESO into local laws by December 2012, less than half of the Member States had done so by the beginning of 2014, at which point the Commission issued a warning and reminded Member States of its powers to bring legal action against countries that failed to comply with their obligations. This lack of enthusiasm seems to have been worryingly echoed by the judiciary, who are given the discretion to issue ESOs. As more and more countries implement the ESO, we may see the ESO becoming more commonly applied. However, almost three years after the deadline to implement the ESO, practitioners and legal experts from across the EU have reported to Fair Trials that courts had demonstrated close to no willingness to make use of the ESO, and that there had been no known cases of its use. The failure of the ESO so far can be blamed on the fact that, as demonstrated by the cases of injustice caused by the misuse of the European Arrest Warrant, the reliance on mutual trust between EU Member States is often misplaced and misguided. The level of confidence required by courts to give up control over the accused under the supervision of another Member State simply does not seem to be in place. The ESO has failed to live up to expectations also because it tackles the ‘wrong’ problem. The disproportionate presence of non-resident EU defendants in pre-trial detention is but a symptom of a much wider problem that is the excessive use of pre-trial detention across Member States. 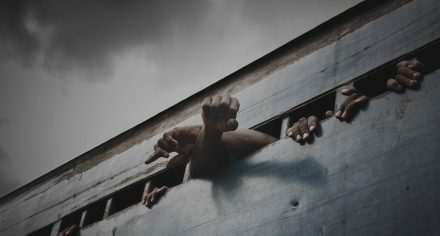 If the EU wishes to address the human rights abuses against EU citizens in pre-trial detention, it must aim to tackle the causes of unjustified pre-trial detention, including procedures for decision-making, and ways in which alternatives to pre-trial detention are being underused for all defendants, regardless of nationality. Fair Trials is undertaking a research project (8) with partners across the EU to gather information on pre-trial detention decision-making in order to inform future initiatives to reduce the unjustified use of pre-trial detention. The Commission has shown some initiative to tackle pre-trial detention, as evidenced by its 2011 Green Paper (9) and by the recent commissioning of an Impact Assessment to assess the need for minimum standards in this area across the EU. Minimum standards could not only help to prevent cases of unjustified pre-trial detention, but also reinforce mutual trust, and consequently facilitate mutual recognition between Member States. The ESO may be a disappointing failure at present, but perhaps it could realise its true potential if judges are incentivised by EU-wide laws that encourage the use of alternative measures and robust decision-making procedures that respect the fundamental rights of all defendants. Bruno is a Legal and Policy Officer at Fair Trials, a non-governmental organisation that works for the right to a fair trial according to internationally-recognised standards of justice. Bruno works on various aspects of Fair Trials’ legal and policy work, and he coordinates the assistance it provides to criminal defendants across the world. Bruno Min is Legal and Policy Officer at Fair Trials.